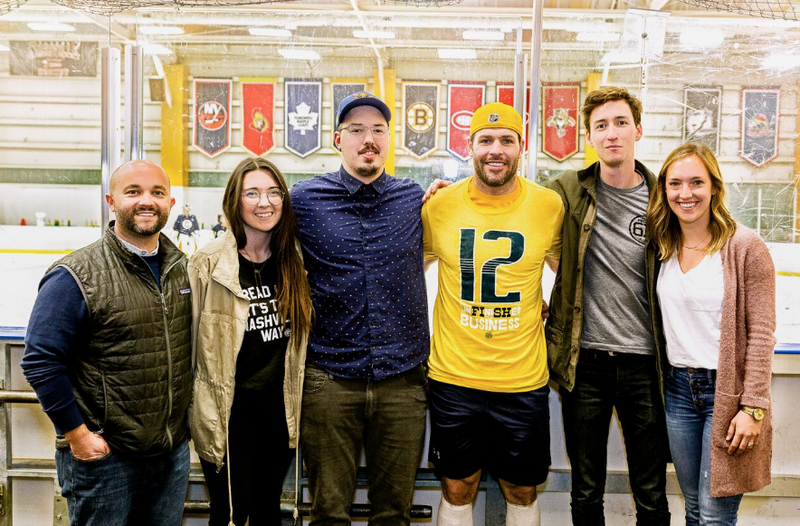 Project 615 is proud to have partnered with Nashville Predators veteran, Mike Fisher, to create a limited-edition "Unfinished Business" t-shirt that was exclusively sold throughout the playoffs with 100% of the profits benifiting The Nashville Predators Foundation. With your help we were able to raise $12,000 for the Nashville Predators Foundation! We are so humbled and honored that the funds raised through our campaign and through YOUR support will donate $12,000 to the Nashville Predators Foundation. Thank YOU for helping us do work that matters, and for continuing to spread love in Nashville and beyond. Stay up to date on the latest campaigns and new releases -- Follow us on Instagram, Twitter and Facebook.